Manufacturer & Exporter of Mix Bed Unit. Our product range also comprises of RO Systems, Water Softener and Ultra Filter Plant. Our reputation in the market is largely attributable to our precision-designed Mixed Bed Unit. Making use of quality tested components and innovative techniques under the direction of our talented professionals, these plants are manufactured as per the defined industry standards and norms. Owing to their excellent functionality and long functional life, these plants are highly demanded by our esteemed patrons. 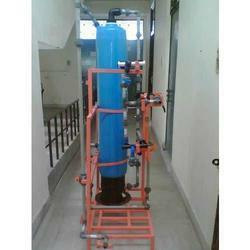 Our offered plants are used to purify water in several industries.